Well we have reached the end of our 2015 Advent Calendars. Hope you’ve enjoyed my posts, and I hope you had a chance to open your own calendar(s) each day. 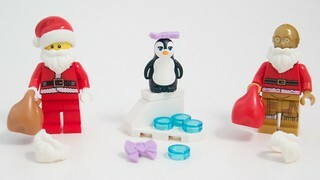 Our final entries are Santa Claus himself from City, an adorable penguin from Friends, and Santa-3PO from Star Wars. Happy Christmas Eve Eve! In this penultimate day of Advent Calendars, we get the space shuttle to go with yesterday’s set from City, a Christmas tree from Friends, and a Star Wars sleigh-like vehicle. 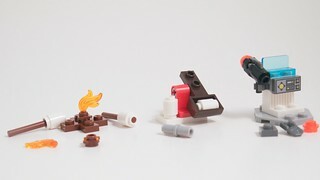 Today’s LEGO Advent calendars give us a Space Shuttle fuel tank and booster rockets (City), a table with three stacked jars for target practice (Friends), and R2-D2 with antlers on his head (!) (Star Wars). 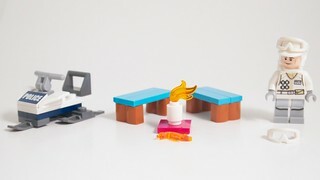 Today City gives us a campfire with roasting marshmallows, Friends gives us a catapult for snowballs, and Star Wars gives us a console with a shooting gun. Happy Winter Solstice everyone! While officially it is tomorrow (December 22) that’s based on GMT. Locally the actual moment of maximum winter is Monday, December 21, 2015 at 8:49 PM PST. Only four more shopping days left until Christmas! Are you ready? 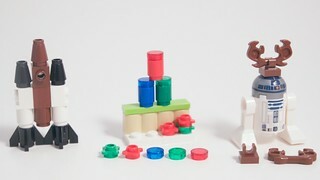 Today’s Advent Calendars bring us a City snowman, hockey goals from Friends, and a probe droid from Star Wars. Today’s haul is a girl with a cupcake and an iPod (City), a weapons rack with hockey sticks (Friends), and a miniature Hoth Ion Cannon (Star Wars). 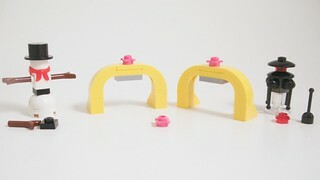 City and Friends are very simple models – a dog with a bone in a bowl, and a table consisting of 3 plates and a brick. 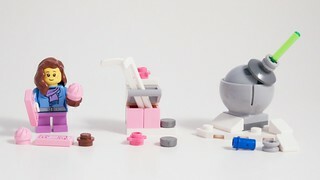 But Star Wars makes up for it with a detailed cute AT-AT walker. 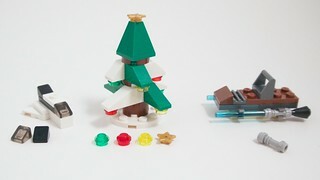 For Day 17, we get a police snowmobile (City), a pair of benches and a campfire (Friends), and a Rebel snow soldier (Star Wars). 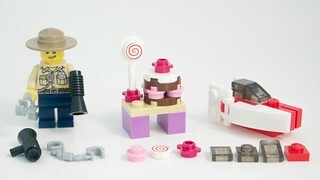 Today’s calendars give us a forest ranger police guy (City), a table with a big cake (Friends), and a festive red and white micro fighter (Star Wars). 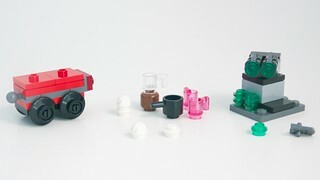 The 15th entries from our LEGO Advent Calendars are a car for yesterday’s train (City); coffee pot, mugs, saucepan, and a white cupcake (Friends); and a blaster turret (Star Wars).